My father has traveled all over the world, from Tierra del Fuego to Iceland, Uganda to Bhutan, New Zealand to Estonia, and many, many points in between. 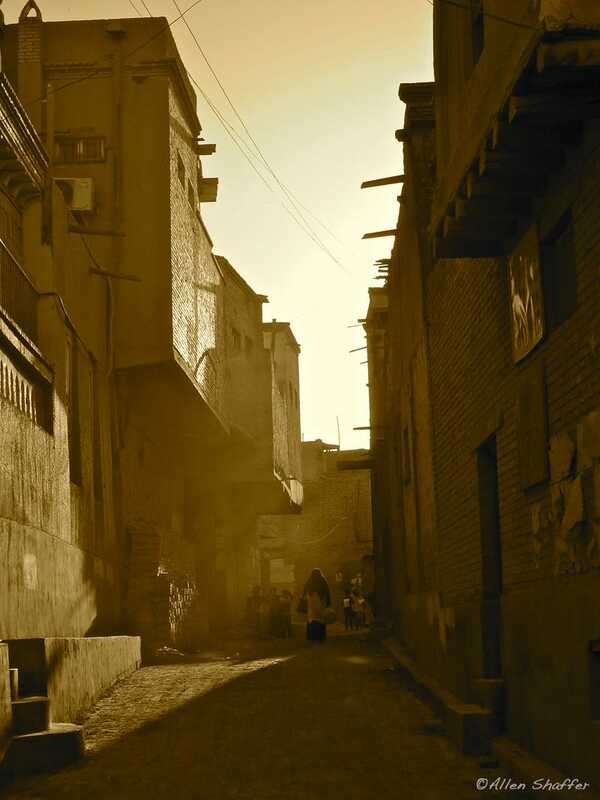 He took this photo while on a trip along the Silk Road, an ancient trade route that once connected East Asia and Southeast Asia with East Africa, West Asia and Southern Europe. Kashgar is the most westerly city in all of China. Traveling west from Kashgar one comes to a magnificent mountain range and a high pass into Kyrgyzstan. Kashgar the is the scene of much of the current Chinese effort to do away with the Uighur Muslim culture, much as the Chinese had been trying to obliterate the Tibetans. The photograph was taken with a Canon PowerShot S100 (ISO 160 15.57 mm O EV f/4.5 1/640) and the sepia tone was added in post processing. It’s an evocative photo, and I believe one of the best travel photos he ever took. I plan to get it printed and framed.